At present, there are four straight rye whiskeys produced by Wild Turkey – Wild Turkey Rye, Wild Turkey 101 Rye, Russell’s Reserve 6 Year Old Rye, and Russell’s Reserve Single Barrel Rye. I’m a big fan of both WT 101 Rye and Russell’s Single Barrel Rye, and have reviewed each in the past (some more than once). I’m sure I’ll eventually get around to the 81 proof WT Rye, but today I’m focusing on RR 6-year Rye. Russell’s Reserve 6 Year Old Rye is a 90-proof Kentucky straight rye whiskey priced in the super-premium tier and usually retails around $40. With Wild Turkey 101 Rye priced at around $30 (liter) and Russell’s Reserve Single Barrel Rye at about $70, it fits about square in the middle. Logically that’s where the profile should fit, but does it? On paper there are differences. The most unique being age and proof. 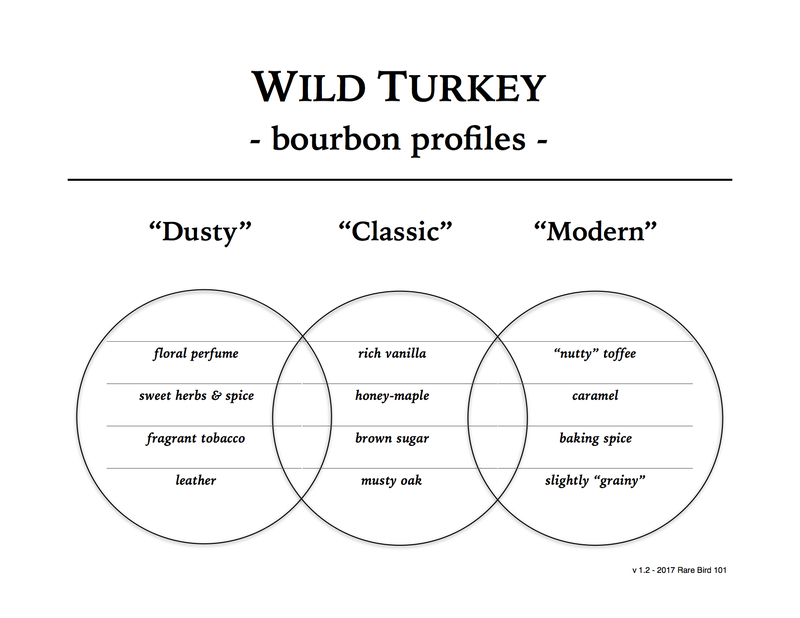 At six years it is the only age-stated straight rye expression produced by Wild Turkey. It’s 90 proof, whereas Russell’s Single Barrel Rye is 104 and WT 101 Rye is … well, 101 of course. Like RR Single Barrel Rye, the bottle states it’s hand-selected by both Jimmy and Eddie Russell. WT 101 Rye does not share this feature. Brass tacks behind us, the only way to truly know how this one fairs is a proper tasting. Time for a pour! Overall: I’d be lying if I said I wasn’t a little surprised by this one. I’ve heard many folks state Russell’s Reserve 6 Year Old Rye is simply a watered-down Wild Turkey 101 Rye – it’s not. It’s absolutely not. A diluted Russell’s Reserve Single Barrel Rye, maybe. Even at 90 proof, the 6-year is notably more complex than the current WT 101 Rye. It also lacks the slight youthfulness that 101 Rye exhibits. Don’t get me wrong – I love 101 Rye – but in terms of complexity, RR 6-year Rye is the clear winner. That said, RR Single Barrel Rye is significantly richer and more full-bodied than the other two, so all three expressions appear to line up with their pricing tiers accordingly. Now if you think this is the part where I justify the purchase of Russell’s Reserve 6-year Rye, you’d be wrong (sort of). Sure, it’s not priced inappropriately, but here’s the issue for me … it fills a niche that I just don’t need. I’m either looking for an everyday whiskey that works neat and holds up to icy cocktails (WT 101 Rye), or a nice full-flavored sipper for relaxing evenings (RR Single Barrel Rye). Russell’s 6-year Rye, while a nice whiskey, falls a little short on those tasks. It’s a tasty pour, no doubt. I could easily see this fitting perfectly in someone’s weekly rotation, just not mine.